The Paranormalist blog is about: Finessing bipolarity. Writing horror. Chasing ghosts. And otherwise navigating a paranormal life. 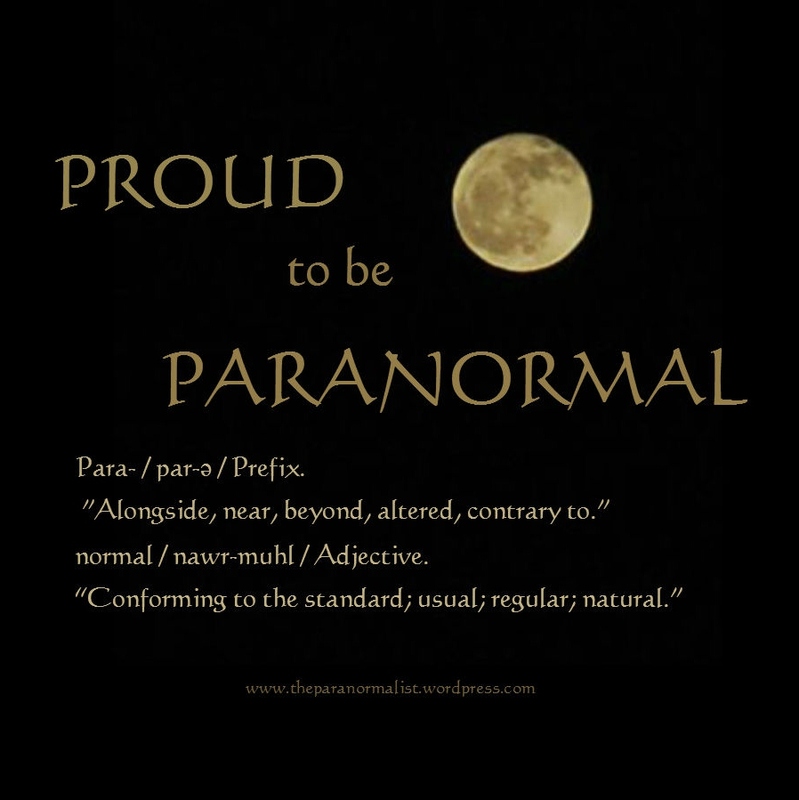 The Paranormalist is a lifestyle blog … albeit a peculiar one. DARK MEDIA – occasional in-depth reviews, but usually collections of themed options for when you’re yearning to experience a particular macabre sensation or mood. Links to such posts are entombed at Courting Creepy. Most weeks, on Mondays, I gather and share a list of current, widely available media entertainments. Find links to my thoughts about specific movies and shows (and occasional books and games) in the Macabre & Mysterious Media Index. My library of collected inscriptions from favorite authors and artists can be browsed at The Paranormalist’s Autograph Album (new feature). GOTHIC / ARTISTIC LIFESTYLE – articles about food, exercise, personal style, relationships, and productivity – all specially twisted to meet the needs of horror fans and dark artists. Links to such posts are on display in Body Preservation. PARANORMAL I – examinations and explorations of mysterious phenomena. (Use the ‘search by category’ widget in my sidebar to find your favorite horror.) To read some first-hand accounts of my experiences, venture into My Ghosts and Monsters. IMAGES – photographs I’ve taken, or collected, and opportunities for you to share your original fun and/or evocative photos. To see what’s developing in this new section of the blog, shoot over to Haunting Photos. The Paranormalist has grown into a thicket of paranormal topics. If you lose your bearings, check the header tabs and the sidebar for guidance. Or just subscribe and allow the home feed to carry you on a journey through my shifting obsessions. Small-city dweller, aspiring-writer, and amateur paranormalist seeks non-vicious agent, editors, publishers and haunts. Qualifications: Works in a variety of (usually food, liquor and lodging related) jobs, as the family budget requires, throughout on-going mothering career. Raised 2 kids into brilliant, creative, kind, nerds. Home educated both–one for just a year, the other for seven. Dotes on dog; tolerates cat. Occasionally does volunteer work for environmental groups and service organizations. Knits. Loves all things retro. Has completed several drafts of a novel, started two more, and is incubating another half-dozen or so. Has no interest in sending anything into the light. I love my ratty old Columbo-coat. * I don’t enjoy holidays. I smoke. And I don’t want to quit. My moods are unpredictable AND obvious. I have no real perception or understanding of the passage of time. I rarely answer my home phone. When I do, I hang up as soon as I possibly can. I refuse to drive on freeways, and despise straying from my established routes. Socially, I always want to do the same thing: meet on a patio, drink beer and talk. I avoid conflict by humoring you or avoiding you, but I seethe. I seek excessive intimacy … sometimes inappropriately. I plan too much and do too little. I’m not a good secret-keeper. while recognizing and celebrating the joy of being alive. Wow, Renae, I should probably call you sister. We have a lot in common. Looking forward to reading more of The Paranormalist in 2012! I would love to have someone who is knowledgable over aliens and/or UFOs. Thanks for your time! Don’t know if that’s my bailiwick, Cody, but I’d give it a shot. I clicked your gravatar profile though – to look for an email address – but it appears to be not working. Very nice blog page. I look forward to reading your posts! I hate it when I find an old comment that I missed when it first came in. Sorry for not catching this. And thank you. Thank you so much Mia. I’m always a little disconcerted by receiving an award, but I appreciate them more than anyone knows. Completely intrigued by everything contained in this blog site. I look forward to reading more! Thank you, Anna! It’s always fun for me to see people come in and explore for a while. I enjoyed getting to know you through your back story and list of “13 things”…your honesty is refreshing…I am certain that many of us can relate to some or all of your items listed. Thanks for following my blog! I really like yours! Darn it, I missed another comment here. (I’ve got to get better about keeping my email box cleared out.) I just shared the horoscope / spiritual purpose info with my (Aries) daughter. I really like your blog too. Yes, my maiden name is really Rude. Other than that, I don’t know what to do with this comment, Xenolicker. I had a coat like that…a London Fog raincoat..I couldn’t wear it out, wreck it, or ruin it. I loved it because I could wear it year round, pretty much. I used to ‘darken the doorways’ of the local physicians, the likes of which I was forced to seek out for their signatures and explanations on death certificates…I became an instantly recognized (and I suppose, loathed) figured, donned in said full-length “Columbo” get-up. Muahahahaa! I was ever the consummate professional in my exchanges with these doctors…but if you knew just how many times I quite literally had to BITE my tongue to keep from saying, “Go on Doc, don’t act stupid NOW. You killed the guy…so be a nice boy and sign here and here…finish the job. Thank you, always good doing business with you, Doc. Nothing personal, you know that!” I wasn’t especially fond of some of them; especially those who had a bedside ACT. Those would be quite nasty towards me and any undertaker they had to deal with. That’s because they hated it when a patient died — and seeing us reminded them of it. Yep. Loved that coat…too bad I gave it away. Just the mere sight of it would turn some doctors white and others red…it was amazing! Nice to make your acquaintance, Renae. Thanks for coming by my blog, too. Oh, this was a treat 🙂 You TOTALLY get the magic of that kind of coat. I love wandering around in graveyards wearing it. It’s practical too … it provides a sort of always-handy picnic blanket. I can sit down anywhere that isn’t actually wet and stay comfortable. I recently learned how to use a roller, pre-made tubes, and pipe tobacco to make my own cigarettes and I’ve saved a ton of money doing it that way. That helps me feel less like I’m just burning money. And it smells just slightly better than purchased cigarettes too. I wish I had a ratty old Columbo coat! (I wish Columbo was still on the air) LOL – Love the blog! Oh, absolutely! I love all things paranormal and I think it proves that there is more to life than what we know and see. But I also selected you because you are always so supportive and because of how sweet you were to me when my sweet Jazzy passed. Thank you for visiting, Karen. I agree completely. I have my skeptical moments, but I’m happiest when I’m reserving judgement and just observing and considering the possibilities. Really like your blog. Just like you, I’m also a fan of horror movies and all things paranormal. And Halloween is also my favorite holiday! Haha. Look forward to reading your stuff. Thanks for following my blog, Renae. I’ve always been fascinated by topics related to horror and the paranormal, so I look forward to reading more of your posts in the future. Ha! Not only is Halloween my favorite holiday, but I dislike other holidays as well–even my own birthday. Bravo. Well cake is always an exception. Obviously. And happy birthday besides. A birthday spent writing sounds like an ideal day to me. I knew I liked you and that you and I have many commonalities. Ah, a kindred spirit 🙂 Thank you for your kind words. You may have picked out the personal characteristic that I like least about myself. If only I could focus a little more! I too dislike holidays but especially the minor ones such as Memorial Day, Labor Day and 4th of July. Strangely enough, a storefront fortune teller told me this very sentiment many years ago on Halloween. She even specified it was the smaller ones I disliked! Something about hoards of the general public traveling to bbqs and beaches ( I hate places that are really crowded though I enjoy fairs/carnivals so guess I am dichotomy.) You sound fun and interesting and I look forward to reading more of your blog! I just love that phrase, “a storefront fortune teller.” It conjures up an great image. I can’t stand a crowded beach either, and I hate driving in holiday traffic. Thanks for coming by to check things out. I loved your photo 🙂 Thank you for coming to visit. Just had a nice visit out and about your website. What a weird and wonderful place! Looking forward to following. Thank you for visiting. I prowled your site a bit too. I’m quite intrigued by your story. Haven’t even come close to clean about my lifetime of story yet! Thank you for the visit and the follow. Absolutely love your website. Hi there! BrittSooWok here (SP). Just wanted to leave a note to let you know I have been enjoying your blog as time permits. 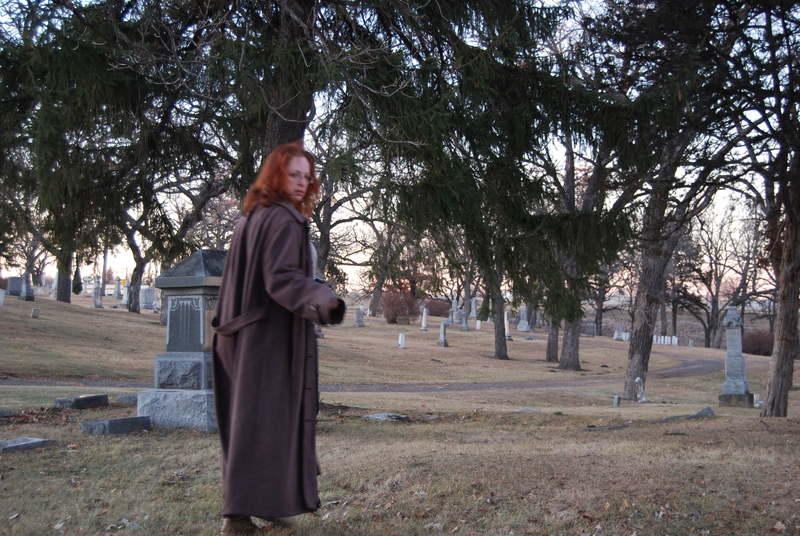 I’ve always been into the paranormal, though it isn’t the area I write in. Anything otherworldly, haunting, or chill-inspiring tends to give me the greatest thrill. I hope you’re able to one day soon achieve your goal of moving further south, and make it out to New Orleans. I really think you’d love to visit there. Thank you for coming over to look around, Brittany 🙂 We are making some real progress toward moving, I think. Keep your fingers, (and anything else you can spare,) crossed for us. This is the most interesting, and unusual About page I’ve ever read! It was meant as a compliment. Your page was a positive, refreshing surprise. I do go back and edit my About page on a regular basis. It’s the first page I visit, when I visit a new blog, so it makes sense. A good one is always a pleasure!